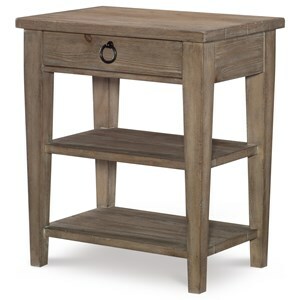 This night stand is the perfect addition to your bedroom. Conveniently display a lamp, picture frames, or books that will always be close by. Its small size won't take up much space, but you'll the love the storage capabilities that one drawer and two open areas offer. 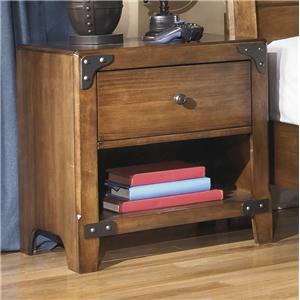 Four block feet, silver pull hardware, and a darker accent lines add fresh appeal. 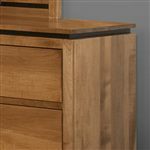 Customize the piece to your liking by choosing from a variety of wood types and finishes. 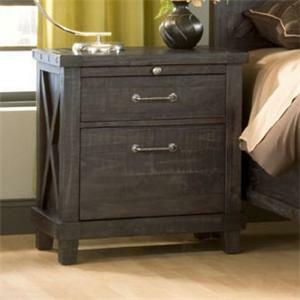 The Binghamton Night Stand with 1 Drawer and 2 Shelves by Conrad Grebel at Colder's Furniture and Appliance in the Milwaukee, West Allis, Oak Creek, Delafield, Grafton, and Waukesha, WI area. Product availability may vary. Contact us for the most current availability on this product. Finish & Paint Options Custom Finish Options. Shown in an Autumn Finish. 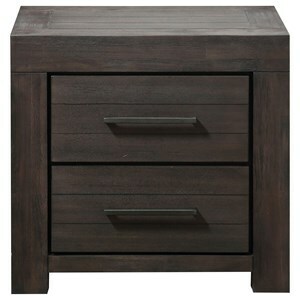 Customizable Options Pieces are available in a variety of wood species and finish options. 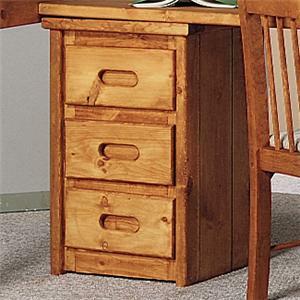 Case Construction Select from a variety of wood construction options. 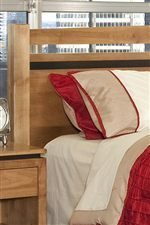 The Binghamton collection brings you casual bedroom style with contemporary accents. 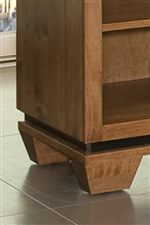 Constructed from hardwood solids and veneers, this collection offers a variety of wood type and finish options so that you can create a customized look for your home. The panel bed will complement a variety of room styles, while each piece boasts block feet that play into contemporary styles. 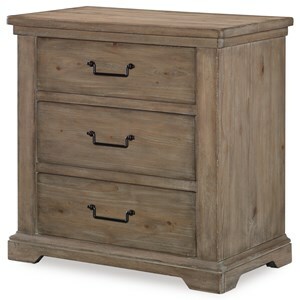 Enjoy fun storage options such as the media chest and tall chest of drawers. 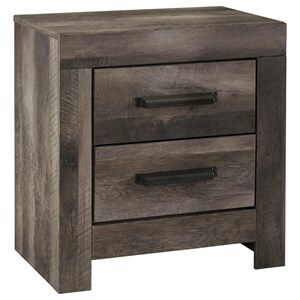 Silver drawer pulls beautifully accent the rustic woods throughout the collection, and subtle accents such as the darker concave construction on select pieces. 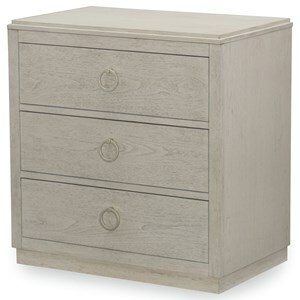 The Binghamton collection will brighten up your bedroom with smartly designed and helpful pieces. The Binghamton collection is a great option if you are looking for Casual furniture in the Milwaukee, West Allis, Oak Creek, Delafield, Grafton, and Waukesha, WI area. Browse other items in the Binghamton collection from Colder's Furniture and Appliance in the Milwaukee, West Allis, Oak Creek, Delafield, Grafton, and Waukesha, WI area.